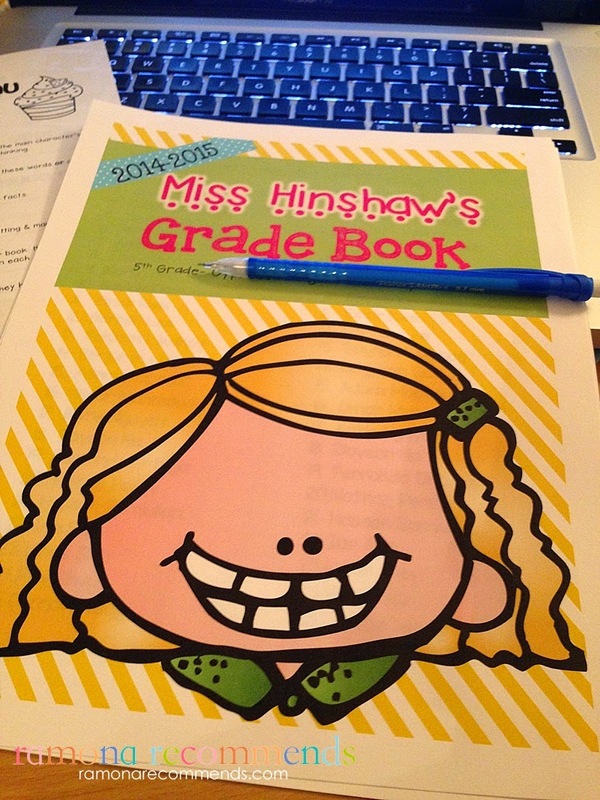 TODAY'S LESSON: My exciting news and some wonderful books to use in September! If you follow me on instagram or facebook, I am sure you know the news. If you aren't aware I have not had a full time in my own classroom position in 4 years. Since education is my passion, I have done everything possible to stay connected and share my love education with kids. Honestly, there were days when I was so depressed because I just didn't know how everything was going to turn out. I just kept praying and knew something would come! Well, lets just say BETTER THAN I COULD HAVE EVER PLANNED! It was around 8:15am Wednesday, August 20th when I received one of the best phone calls of my life. The admin of my school called to set up an interview. This school is BRAND new with top of the line technology. I graciously accepted the interview and ran downstairs to tell my mom and sister who were chatting in the kitchen. My heart was pounding with excitement, nervousness, and everything in between. I became a hermit until Saturday morning and just practiced every interview question I thought they might ask. I stayed off of instagram and pinterest because seeing all of the cute classrooms made me more nervous. Saturday morning arrived, and I walked into the building with my black skirt suit ready to share about my love for teaching. The interview was 20 minutes and everyone was friendly and smiled as I spoke. The principal said she would make a decision by Monday. Oh! Saturday was the LONnnnnnnnggggggggesssttttt Saturday of my life. I tried to keep busy by cleaning, organizing, baking, and eating out with some friends. I also didn't want to start room design planning because well I would be crushed if I wasnt offered the position. On Sunday afternoon, I was at the mall with my mom and sister and my phone rang about 3:30. I didn't recognize the number, but answered it right away. It was the principal- my heart about jumped 50 feet as she offered me a 5th grade position at my school. I graciously accepted and signed my contract that following Monday. I have literally not stopped since that interview call on Wednesday. My mom, my brother in law, my best friend, and family friends gathered together to help me set up my classroom. I would not have been able do it without them! The first day of school was AMAZING! Knowing that this class is mine for the whole year just makes me SMILE SMILE SMILE. My kids are funny, unique, investigators, sweet, strong, and AWESOME. My team is great! I am just H.A.P.P.Y! I need to find a way to continuing blogging, but right now I must give my whole heart into my job. I know you all understand. Don't give up on Ramona Recommends, but there might be a few more breaks then before. THANK YOU! I always wear RED-WHITE-BLUE on the first day of school. (Well, this was the second because the first day school we had to wear our school opening shirts). 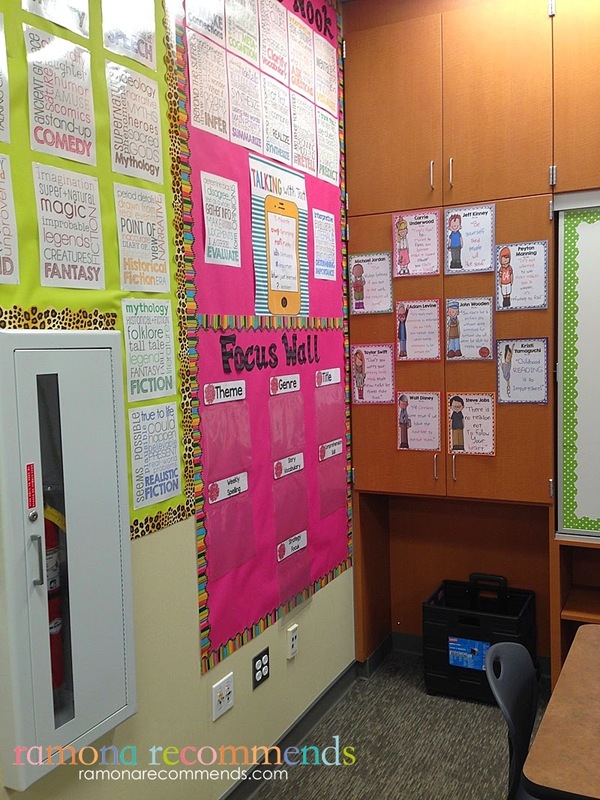 HERE IS A SNEAK PEEK INTO MY CLASSROOM, I will do a more in-depth post when I find the time (hahahahah). Oh I see lots of fun things here! Brown Bag Teacher's Genre/Comprehension Posters, My quote posters, and my talking with the text poster. 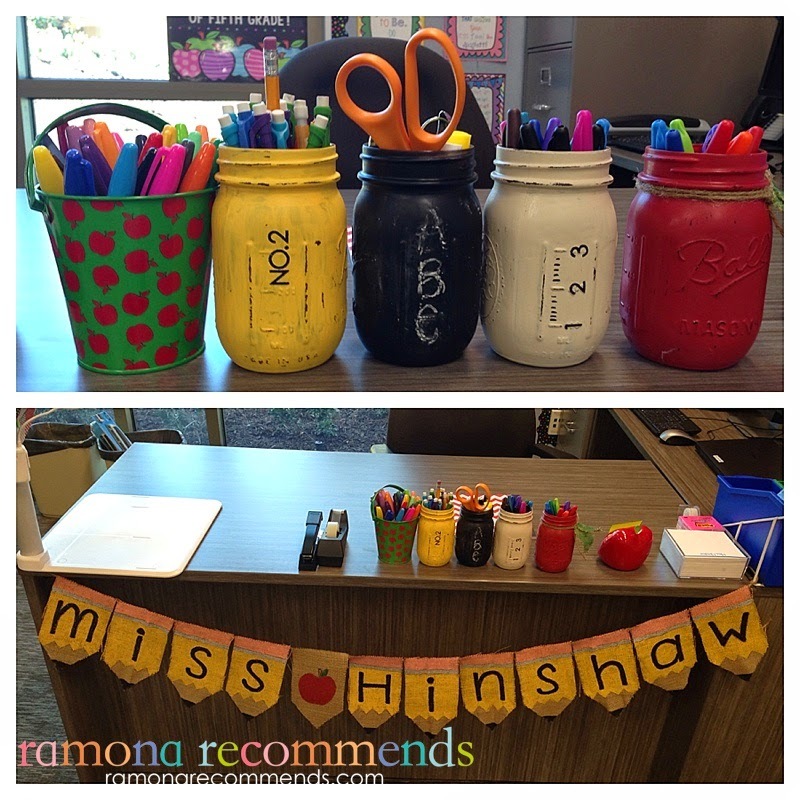 Yay for The Amy Groesbeck's Writing Posters, and The Teacher Wife's Writing Pencil. My favorite part of my room right here! My best friend made me this sign plus the adorable supplies holders. I'm OBSESSED! Oh and did you see behind my desk is the cute first day of fifth grade sign by Teacher to the Core. I printed mine at Staples, but wasn't thrilled with their service. My poster is bubbling and they charged me 2.00 a cut. :( BUT, I love the poster!!!! Thank you! 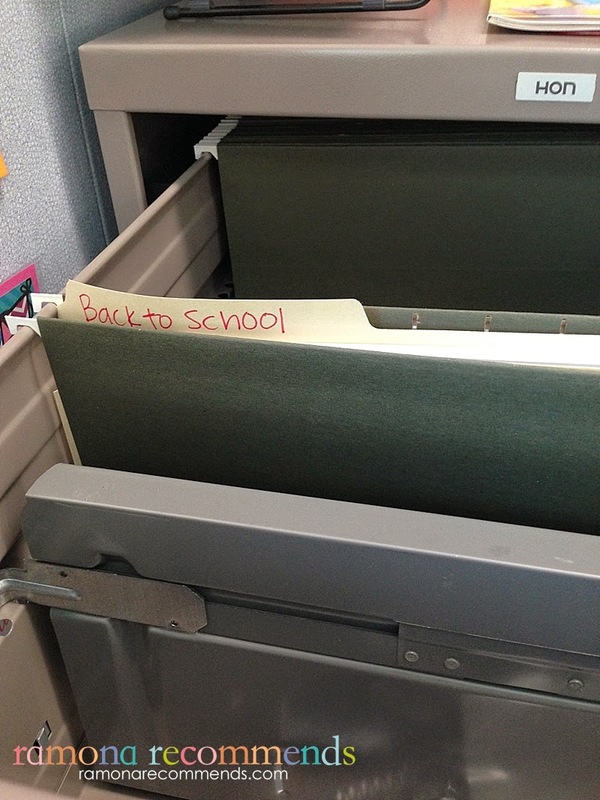 My first file in the cabinet! :) I will be going through boxes today from four years ago. Since I have never taught fifth, I am excited to start with a clean file system. Since grammar is an expected skill we teach, and it is not the most fun to teach, I love using picture books to set the scene. 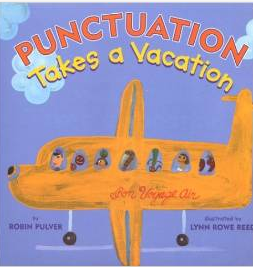 One I will be using this coming week is Puncuation Takes a Vacation. Talks about the different types of puncucation and why we need them. 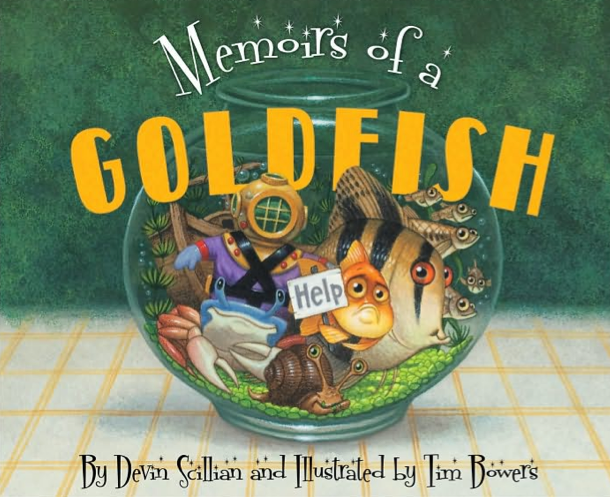 Another book I will love to share with my students this week is Memoirs of a Goldfish. My class has several (like 15 kids) who all own goldfish. This book is perfect for narrative writing instruction. The best part- it is HILARIOUS! 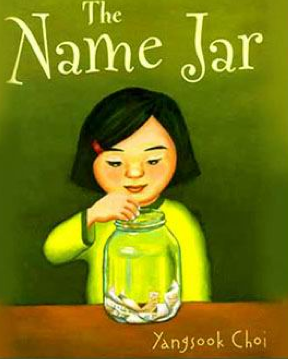 Lastly, this week I will read The Name Jar. I have a few students with beautiful names that I am struggling to pronuonce correctly. I fell horrible, but I just it as a lesson of practicing will make perfect. I will be practing this weekend. This story is a true gem that teaches acceptance and respecting everyone's unique names. Courtney, congratulations on your new position!! I KNOW your kids feel your excitement and how awesome that they will learn the magic of books this year!! I love The Name Jar, too!! 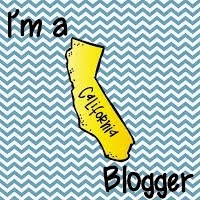 And I'm looking forward to hearing how you balance full-time teaching and blogging. . . I know I struggle with both and family time!! I just downloaded the writing pencil; thanks for always sharing! Have a fabulous new year! Congratulations on your new position! Such an exciting time for you! I loved reading this post. I have been going through the same process and this is so encouraging that it does work out. I am so excited for you! Congrats! EEEKKK! I'm so excited for you it's all so perfectly perfect! Thank you Jesus :) I can't wait to see your adventures, but I'll have a hard time without book recommendations ALL THE TIME (but for good good reason, so I'll let it slide ;))! Congratulations!! How exciting!! Your students are so lucky to have you for a teacher! 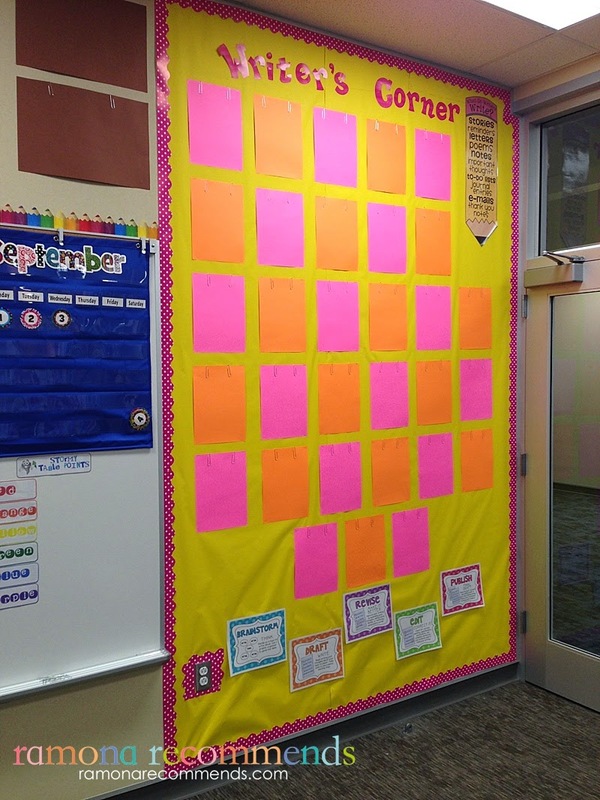 I love your focus wall! Ccngratulations!! I'm so excited for you!! Have an awesome year!! Best first day outfit ever! I want to go shopping with you when I move out to SoCal!!! Hello! I love when you comment. It makes my day! I like to comment back to you through email. Make sure you have that setting enabled! Have a wonderful day!!!! © 2015 Ramona Recommends. Natasha Template designed by Georgia Lou StudiosNatasha Template customized by A Bird in Hand Designs All rights reserved.